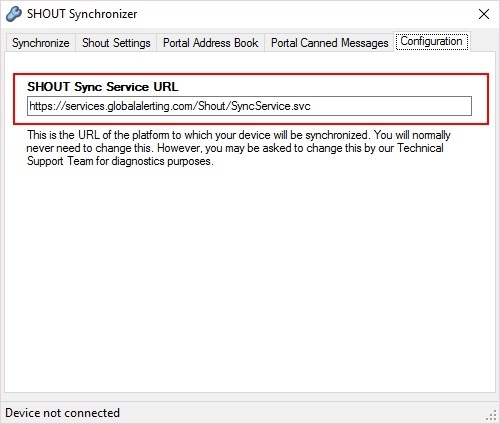 The Shout Syncronization tool is used to synchronize address books and canned messages from the GAP portal to your Shout device. After editing your address book or canned messages, you will need to synchronize the portal with your Shout device. If you are not using the US based data centre, you must change your Shout Sync Service URL before syncing your device. This can be found on the Configuration tab within the sync client.